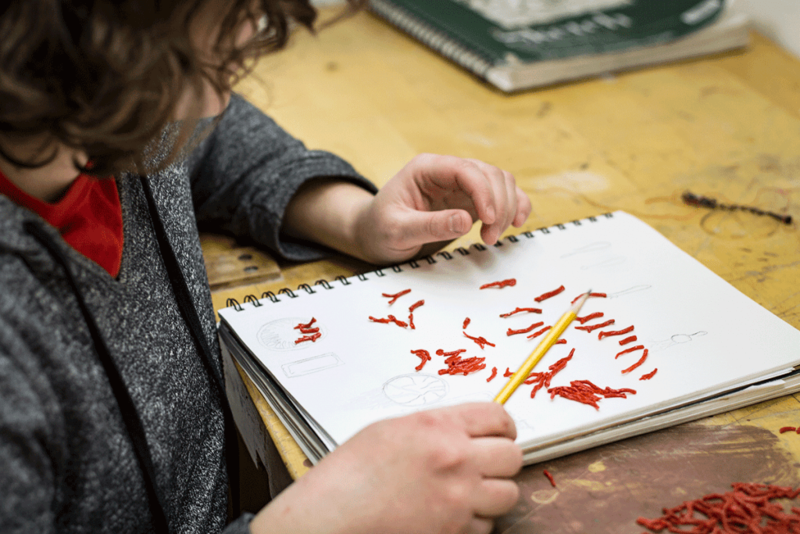 At her studio in the Humanities Building, UW–Madison metalsmithing student Chloe Darke sketches ideas in a notebook as she puzzles through a design challenge. The raw materials she’ll use, all donated by strangers, lie in front of her: a strand of fake pearls, three metal brooches, dozens of salmon-colored coral beads. 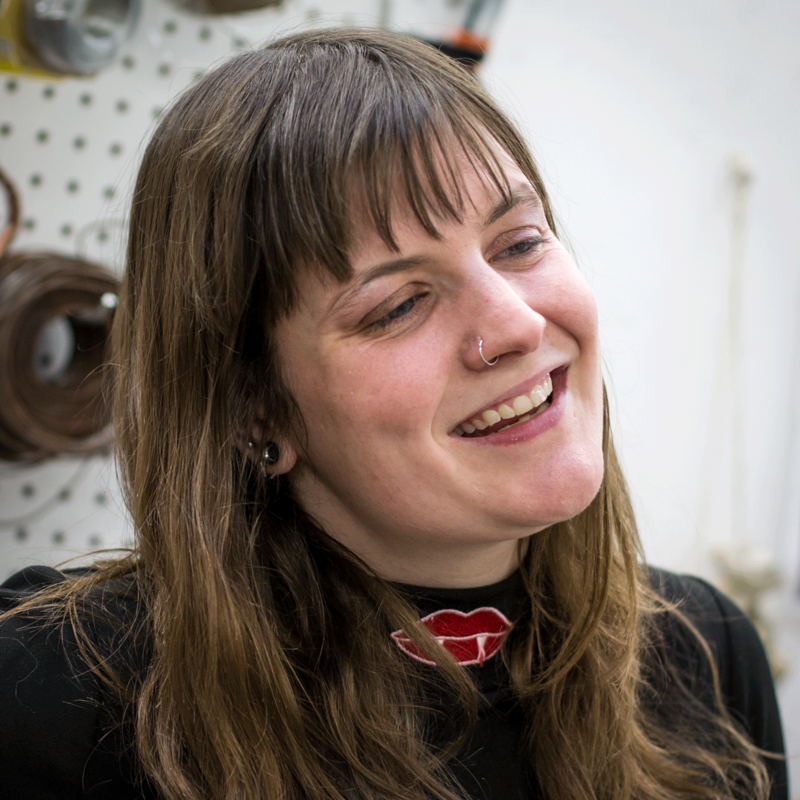 Darke is taking part in “Radical Jewelry Makeover: Wisconsin.” By the end of the months-long project, she and several of her fellow UW–Madison students will have transformed unwanted jewelry into fresh pieces. The finished items will be displayed at an art exhibit, then available for purchase, with the proceeds benefitting charity. The approach, part of a national movement, draws attention to talented designers while making a larger point. Many materials used in jewelry production are sourced from sacred lands, disputed territories and some of the poorest countries in the world, often at a great cost to the environment. 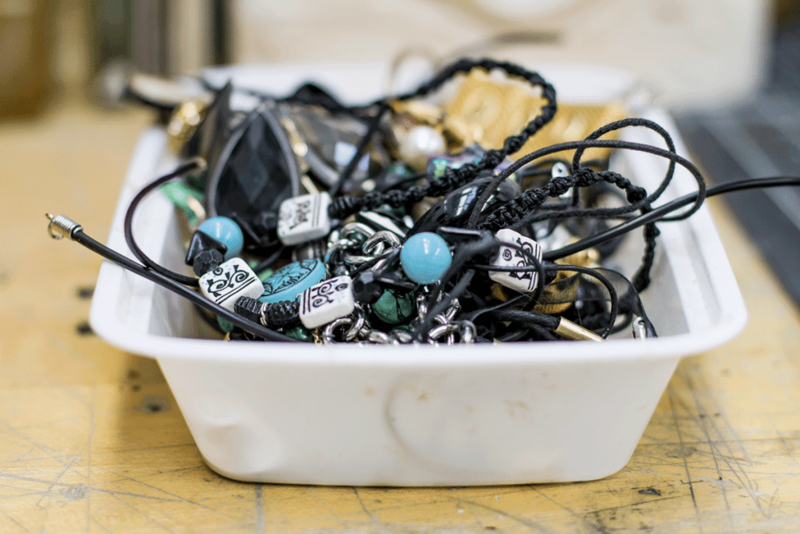 By recycling old jewelry, the project promotes an alternative supply chain, one based on protecting and sustaining the earth. The project is an effort of Ethical Metalsmiths, a nonprofit organization founded in 2004. The first Radical Jewelry Makeover took place in 2007 at Virginia Commonwealth University in Richmond, Virginia. This is its 14th iteration. 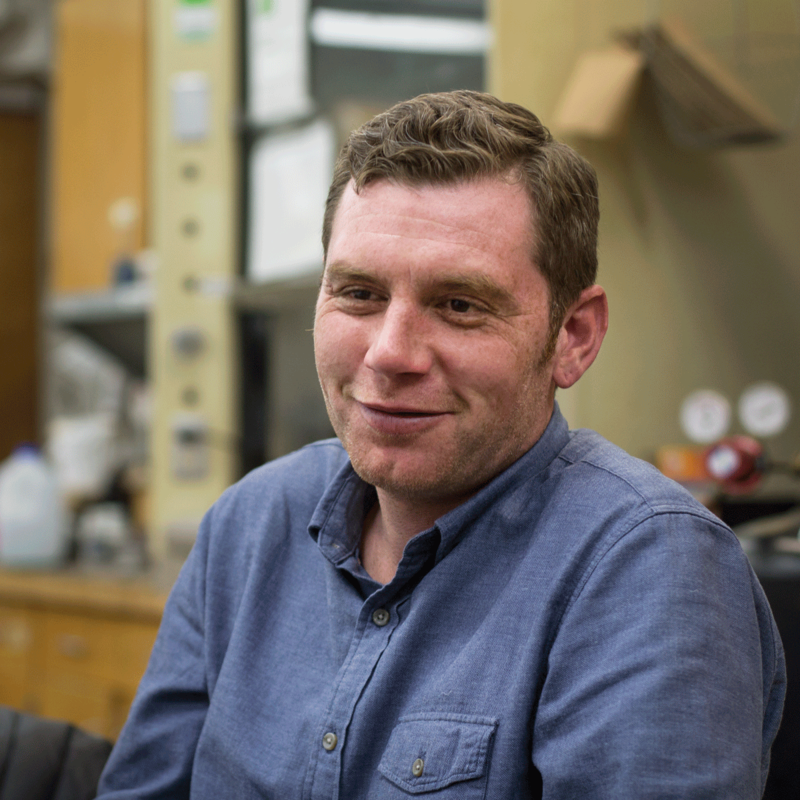 Jeffrey Clancy, an assistant art professor at UW–Madison, says he jumped at the chance for his students to participate in the project, which they are doing as an extracurricular activity, not as part of a class. Students from UW–Milwaukee and UW–Stout also are taking part. 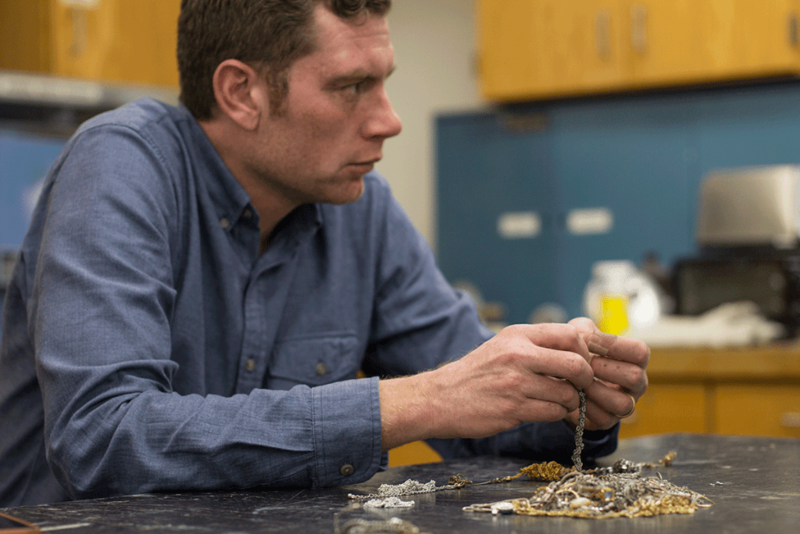 Clancy also likes the collaborative aspect of the project —students will have opportunities to interact with peers, professors and professional jewelers from other institutions and the community. 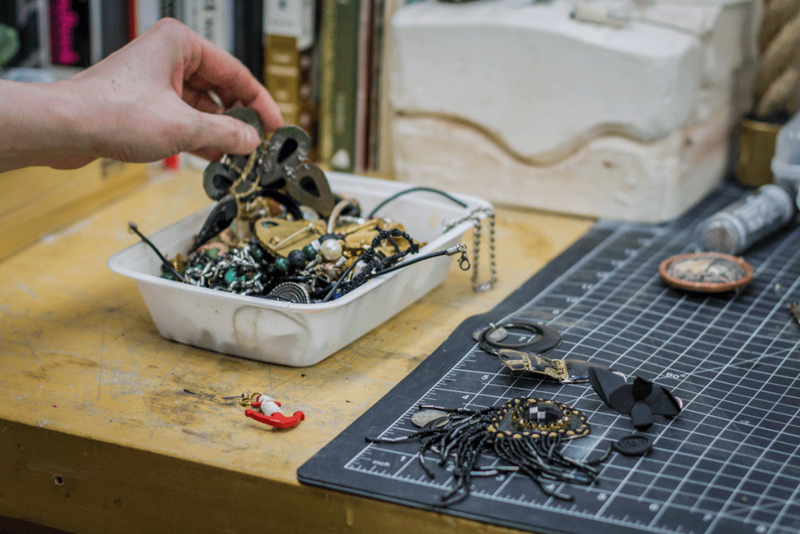 Although this is the first time UW–Madison students have participated, Radical Jewelry Makeover has strong ties to the university. One of its co-founders, Susie Ganch, earned her MFA at UW–Madison in 1997. 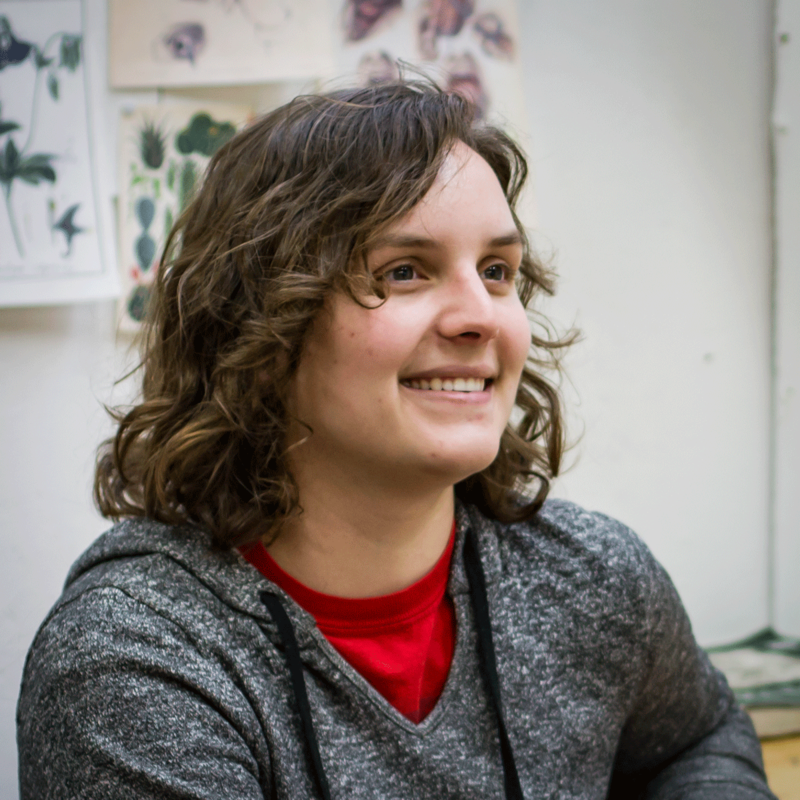 She now co-directs the effort with Kathleen Kennedy, who earned her MFA at UW–Madison in 2014. They both work at Virginia Commonwealth University in the Department of Craft and Material Studies. 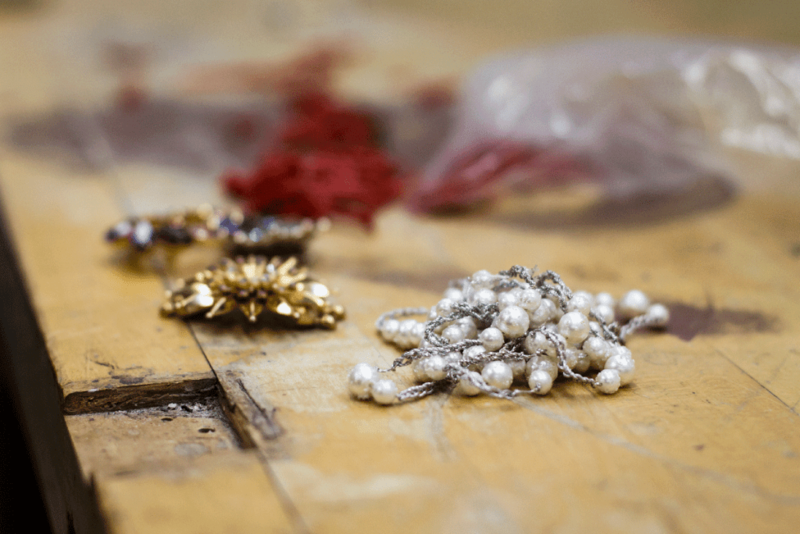 The project relies on donations of old jewelry from people in the community. Madison-area residents came through strongly, contributing enough unwanted items to fill 12 medium-sized cardboard boxes. The collection phase was aided by a February article in the Wisconsin State Journal that publicized the donation opportunity. In some cases, the donors provided those backstories. “My recently deceased wife was a jewelry artist and I wanted some of her pieces to continue to sparkle,” wrote one man. Then there were the oddities: a molar with a silver filling; a tiny snuff bottle; chandelier crystals. “It was really kind of all over the place, but that’s part of the challenge,” Darke says. 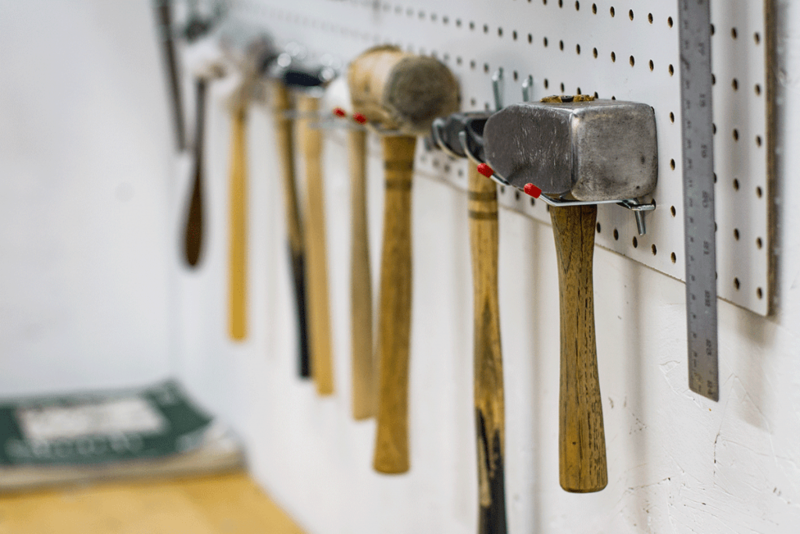 All six graduate students studying metalsmithing at UW–Madison are participating in the project, and some undergraduate students may, too. In some cases, the students will be melting the old jewelry and forging new pieces with the reclaimed metal. The items will be displayed at the Union Art Gallery at UW­–Milwaukee from April 13 through May 11, then available for purchase. Donors have received discount coupons to apply toward the purchase of a new piece. Sales will benefit scholarships for UW art students and the efforts of Ethical Metalsmiths.